While Turkey's National Security Council (MGK) convened on Monday to discuss the measures to take, including a possible military incursion into Syria against the threats emerging at its borders, a daily reported that the Turkish military is not willing to send troops to Syria, instead considered shelling or air strikes against the extremists. On Monday President Recep Tayyip Erdoğan chaired a regular MGK meeting at the presidential palace,.. Read more. At least 15 civilians, including women and children, were killed and several others injured when Saudi fighter jets launched a fresh round of airstrikes against various areas in Yemen as Riyadh pushed ahead with its atrocious onslaught against its impoverished southern neighbor. Saudi military aircraft conducted attacks against a residential area in Sarwah district of Yemen’s central province of Ma'rib,.. Read more. Financial Times journalist Peter Spiegel hastened to comment on the press conference Jean-Claude Juncker gave Monday saying that it is not true what the European Commission President said about pension cuts in Greece. Through his personal Twitter account, Spiegel accuses Juncker of lying... Read more. Afgelopen zaterdag in Den Haag: opnieuw racistische moord van de Haagse smeris. 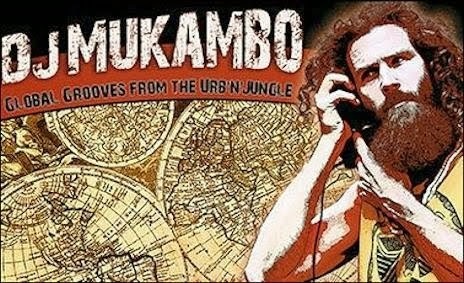 Mitch Henriquez uit Aruba wordt na afloop van een concert opgepakt, in elkaar geslagen en geboeid door vijf man smeris die op hem gaan zitten en zelfs op zijn keel gaan staan. Vervolgens slepen ze hem geboeid een bus in. Bij bewustzijn is hij dan al niet meer. Video's leveren het bewijs. Mitch overleefde het vandaag, zondag 28 juni 2015, niet. De smeris heeft de smoes al klaar: “hij riep dat hij een wapen had”. Lees meer. Hundreds gathered in Paris to show their solidarity with Greece, supporting Athens' resilience in fighting the harsh bailout conditions now being demanded. The protesters were mainly from France's left-wing parties. The prime minister is calling for Greece to be respected, to make sure it stays in the eurozone. For more RT is joined by Jim Rogers, Financial commentator and co-founder of the Quantum Fund. Yemeni forces have carried out retaliatory attacks against Saudi military bases, located in the kingdom's Najran province. Yemen’s Ansarullah fighters and allied army units launched missile attacks on three Saudi military bases on the southwestern border province early on Monday. Read more. Three of the four vessels that make up the flotilla en route to the Gaza Strip turned course and were heading back to their ports of origin,.. Read more. Palestinian Authority President Mahmoud Abbas said Sunday that Hamas has until Tuesday to join a new unity government. Read more. Dr. Barrett has taught at colleges and universities in San Francisco, Paris, and Wisconsin, where he ran for Congress in 2008. He currently works as a non profit organizer, author, and talk radio host. Gisteren, donderdag 25 juni 2015, was het zover, de eerste door Auke en Johan georganiseerde journalistieke bijeenkomst. Lokatie: de Balie, Leidseplein, Amsterdam. Onderwerp: de Oekraïne en de rol van de media in dit thema. Sprekers: Prof. Karel van Wolferen, Dr. Jan van der Putten en Joost Niemöller. Meer info over hen, HIER. De zaal was afgeladen vol, de sprekers verfrissend als je het afzet tegen het monotone anti-Rusland geluid van de betaalde staats- en concernjournalisten en het debat in het laatste deel van de avond soms verhit. Lees meer. We Are Change Rotterdam sprak Karel van Wolferen, bekend van het boek 'The Enigma of Japanese Power' uit 1989. In 1990 was hij op de Bilderberg Conferentie in het Harrison Conference Centre in Glen Cove, New York, USA. Op de Bilderberg agenda van dat jaar stond het onderwerp 'Japan' op nummer 7. Wat deed van Wolferen daar toen en hoe kijkt hij nu naar de Bilderberg Conferenties? 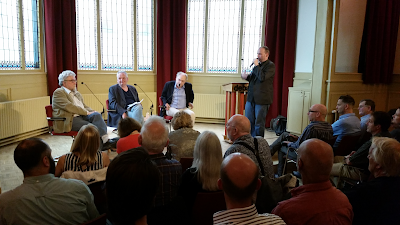 Bij 'De Onafhankelijke Pers' in Cafe De Libertijn, 22 juni 2015, Den Haag. 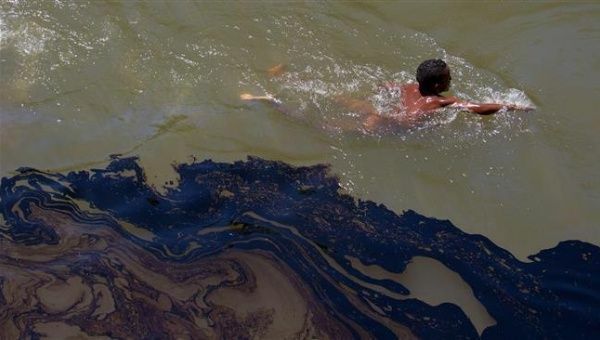 The FARC says it is “not proud” of the oil spill, but stressed the government’s systematic environmental abuses. The Revolutionary Armed Forces of Colombia (FARC) expressed Saturday its regret over the result of an oil spill, after a bomb by the group hit a crude oil pipeline on June 22. Read more. Venezuelan maps have traditionally shown the Essequibo region as a "disputed area," depicting repeated diagonal stripes over a territory of which we know nothing. What is there to be found beneath those stripes? Certainly much more than oil. A simple reason: there is oil galore, would suffice to explain Guyana's actions. Another explanation lies in the little or none efforts made by the Venezuelan government to thwart the move by the Guyanese. Read more. In Tegucigalpa thousands of protesters will brandish torches in the streets once again to demand an end to impunity and the investigation of a multi-million dollar corruption case that involves high profile officials of the current government. A small military operation has blocked protesters’ access to the presidential mansion. Marchers are expected to join hunger strikers in their demand for the immediate resignation of President Juan Hernandez. When a 21st century military coup overthrows the president they helped elect, these farmers take over the plantations. And they're not giving them back. AVAILABLE FOR FREE SCREENING FROM JUNE 28th-JULY 11th. In commemoration of the sixth anniversary of the Honduran coup and the sixth birthday of the National People's Resistance Front. A Makila and Naretiv Documentary Production. 2015. Rebels fire missiles at oil storage tanks in southern port city killing at least one person and igniting a large fire. Al Jazeera's Victoria Gatenby reports. Read more. Today on Rap News, a world exclusive: Pope Francis performing his 2015 encyclical on climate change, revealing his new, revised Ten Climate Commandments for the care of our common home. Of course, Robert Foster also has a couple of pointed questions to ask the Pontiff; as does our resident conspiracy pioneer, Terrence Moonseed. Join us as we beam in to the Vatican to hear Pope Francis spit hot fire on global warming. It’s Pope Francis vs Climate Change… Lord help us. Kuwait’s Interior Ministry says the individual who carried out a recent bombing attack in a Shia mosque in the country was a Saudi national. In a statement carried by the official KUNA news agency on Sunday, the Kuwaiti ministry identified the assailant as Fahd Suleiman Abdulmohsen al-Qaba’a, saying he had arrived in Kuwait at dawn on Friday. Read more. No bailout extension for the cash-strapped Greeks. And a possible default is now just days away. For more RT is joined by Felix Moreno, Trader & Portfolio Manager at RF Trading. Read more. Euro-area finance chiefs poured scorn on the Greek government’s decision to call a referendum on the terms of the country’s bailout and said the door was closing to any further discussion on resolving a standoff over aid. 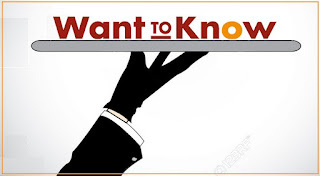 Finance chiefs from 18 euro nations said they would grill their Greek counterpart, Yanis Varoufakis,.. Read more. Next step: Palestine submits thousands of pages documenting Israeli war crimes to the International Criminal Court; if the prosecutor fails to act, legitimacy of the court will further erode, says CCR's Michael Ratner. One of the ships with an aid flotilla headed toward the besieged Gaza Strip was “sabotaged” before leaving for the Israeli-blockaded Palestinian coastal sliver, an activist says. An activist aboard one of the aid ships said on Thursday that the vessel had been sabotaged... Read more. The United Nations Decolonization Committee approved on Thursday a new resolution urging the United Kingdom to discuss the Falklands/Malvinas dispute with Argentina, in order to find a peaceful solution to the conflict. The decision came as no surprise since it has become an annual event despite Falklands' representatives demand for C24 to act in support of Non Self Governing Territories. Read more. Venezuelan President Nicolás Maduro reported on Friday on the execution of six agreements with Iran, including one "against the economic war"
Venezuelan President Nicolás Maduro reported on Friday on the execution of six agreements with Iran, including a credit line for about USD 500 million. Read more. Ecuador's right wing continues to protest President Rafael Correa’s proposals to tax large inheritances and property speculation. The Mayor of Guayaquil, Jaime Nebot, funded a massive media campaign to mobilize protests in the interests of the country’s oligarchy. In Quito the opposition protests turned violent, while members of the Citizens’ Revolution showed their support for the proposals aimed at reducing social inequality. Over 85% of the population voted Correa into office and support the progressive changes he has made. 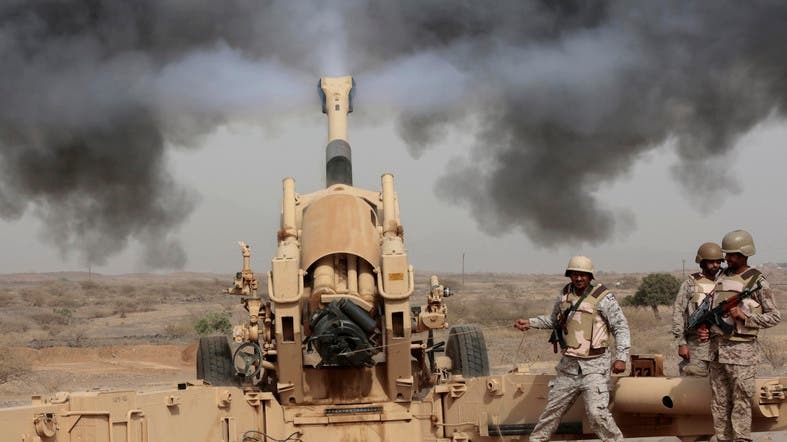 Yemeni forces have fired several rockets towards Saudi military bases in the southwestern border city of Najran in retaliation for Saudi Arabia’s ongoing aggression against the impoverished Arab country. According to media reports, several rockets launched by Yemen’s Ansarullah movement and allied army units targeted Saudi military positions in Najran late on Friday. Read more. Late Friday night, Prime Minister Alexis Tsipras called a referendum on July 5 whether the country should accept or reject a bailout agreement offered by creditors. "These proposals, which clearly violate the European rules and the basic rights to work, equality and dignity show that the purpose of... Read more. 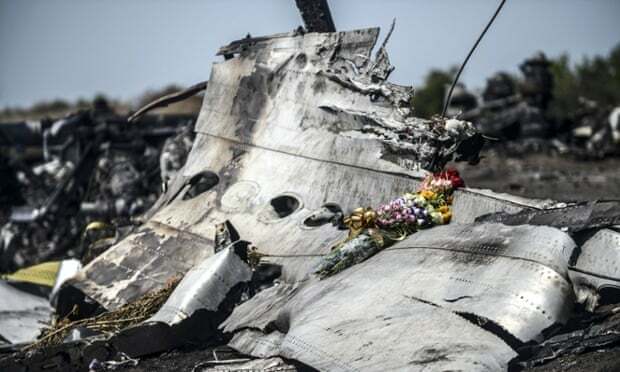 A senior Russian official has rejected calls for the establishment of a UN tribunal to try those responsible for the downing of Malaysia Airlines flight MH17 in eastern Ukraine last year. Read more. By Wayne Madsen - It is becoming more and more apparent that the Islamic State for Iraq and the Levant (ISIL), or «Daesh» as it is known in Arabic, or ISIS – the Islamic State of Iraq and al-Sham -- preferred by Israel supporters because of the uncomforting similarity between «Israel» and «ISIL» – is part of another Central Intelligence Agency operation to artificially create a new «strategy of tensions» for the Eurasian and African land masses. Yet another example of ISIL’s non-Islamic nature has been witnessed in the ancient Syrian city of Palmyra – the blowing up of the tomb of Mohammad Bin Ali, a descendant of the Prophet Mohammed's cousin Imam Ali, by the brigands and mercenaries of ISIL. Read more. 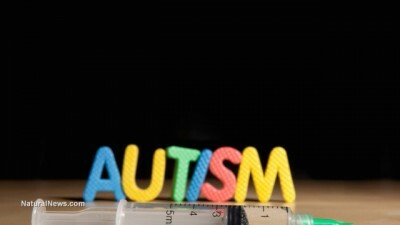 This amounts to a one-in-68 children rate of autism, which the London School of Economics projects is costing taxpayers around $54 billion annually. Read more. 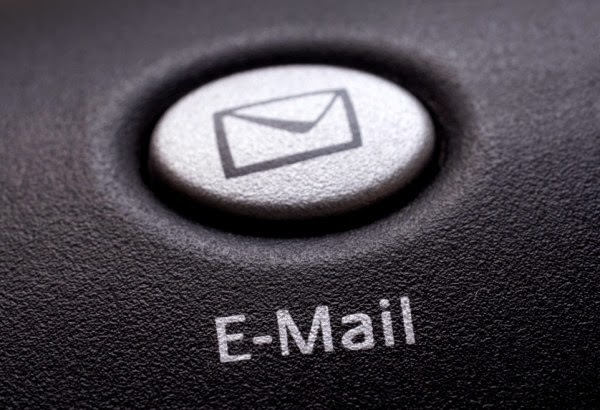 Documents published today by The Intercept demonstrate how the Joint Threat Research Intelligence Group (JTRIG), a unit of the signals intelligence agency Government Communications Headquarters (GCHQ),.. Read more. Proposals to cover funding needs will not work if they are part of recessionary policies, said a government official, while Jack Lew talked about tempting fate. 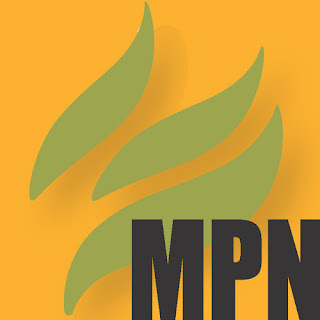 "There are several proposals on covering funding needs under discussion. Any such proposal, however, would be cancelled... Read more. One man was reported to have been beheaded and some 10 others were injured in a suspected Islamist attack on a French factory in Saint-Quentin-Fallavier. Read more. Two hotels in central Tunisia have been attacked, with at least 27 dead and panic being reported at the scene. Two gunmen armed with Kalashnikov rifles reportedly penetrated a private beach area and opened fire. Read more. An IS-affiliated group calling itself Al Nadj Province has claimed responsibility for a suicide attack on a mosque in Kuwait City today. They named the bomber as Abu Suleiman Al-Muwahhid carried out the attack. Unconfirmed reports have raised the number of dead to 19 including one child. Read more. "WE SHOULD GET out of here," says air pollution chemist Eben Cross. At 7 a.m. on this cold November day the wind blows steadily through the Massachusetts Institute of Technology's Cambridge campus, cutting through our thin jackets. But Cross isn't afraid of the cold. He worries about the air we're breathing—especially considering the six fire trucks directly ahead, idling in the dim morning light. "We're getting hammered right now," Cross says, shouting over the hum of the engines. He's taken his gloves off to manipulate the display panel on his pollution monitor. Read more. 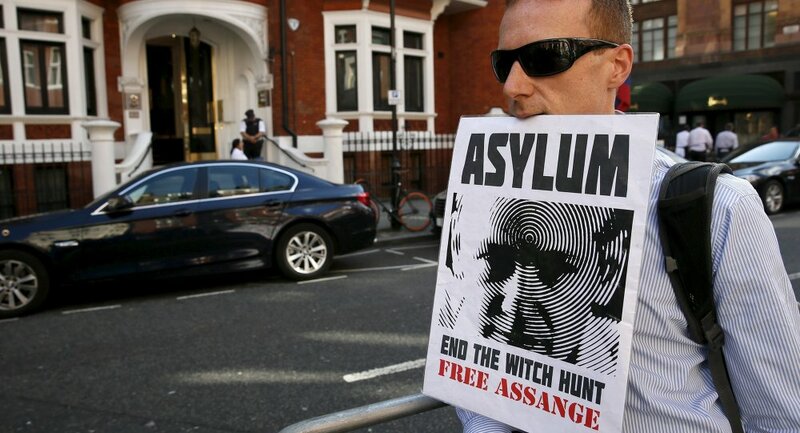 It is possible that France may decide to offer asylum to whistleblowers Edward Snowden and Julian Assange, French Justice Minister Christiane Taubira said on Thursday. Snowden, a former US National Security Agency contractor, has remained in Russia after revealing the US government’s widespread surveillance programs. Read more. The only thing that would really go towards beginning to solve the problems with Greece is for Athens to NOT sign a deal. The short version of why that is so: it would leave the EU intact for longer. And the ECB. Neither have any viable future, but as they go down, they can cause a lot of damage and pain. It’s mitigating that pain which should now be our priority no. 1, the pain that will result from the demise of Europe’s institutions. But we see precisely zero acknowledgment of this. Anywhere. All that attention for whatever comes out of yesterday’s, and today’s, and tomorrow’s Troika vs Athens talks is very cute and nice and all, and putting on a ‘phantom summit’ is hilarious, but in reality it’s all based on a far too myopic picture. Read more. A number of pro-Western NGOs in Armenia perform various functions, including the support of political processes and even overseeing foreign elections. Now, as protests against an electricity rate hike drag on, these groups are getting a second look. Protesters, demanding the cancellation of a 17 percent electricity price hike that is set to take effect on August 1, have spent another night on the streets of Armenian capital. 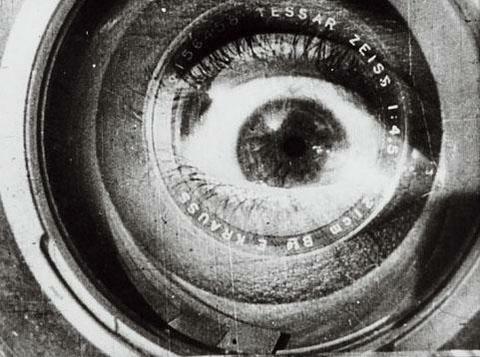 Read more + video. The latest airstrike claimed five lives in the south of the Arab country on Thursday. 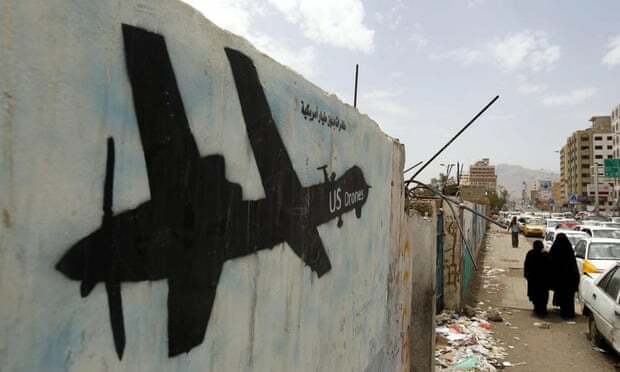 The previous drone strike took place on Wednesday in southeastern Yemen, killing four people. Local officials say those killed in the air attacks were al-Qaeda militants. The U-S has carried out large numbers of airstrikes against other nations using its unmanned aerial vehicles in the past years. Washington says the attacks target militants. However, many of the victims have turned out to be civilians. The U-N has criticized the U-S over its use of drones for targeted killings. Dan Dicks calls out Harper for what he is! Under C-51 will this video land him in jail? While European leaders are preparing for the summit, the European finance ministers Eurogroup started its second meeting in less than 24 hours. Both sides presented their reform proposals, however they were not able to reach an agreement and resolve their differences. Read more. Links is links, rechts is rechts, de optimisten blijven optimistisch en de pessimisten pessimistisch. Een realist kijkt naar de feiten. De Verenigde Staten van Europa kraakt en dat is een direct gevolg van Amerikaanse inmenging. The Telegraph weet te melden dat het zorgwekkende Europa zoals we het heden ten dagen kennen niet zou bestaan zonder Amerikaans initiatief. Uit documenten blijkt dat de voorganger van de Amerikaanse CIA in de jaren vijftig en zestig aan de basis stonden voor een momentum in oprichting van een Verenigd Europa. Lees meer. After days of talks, another Eurogroup is about to start after creditors give Greece an ultimatum to reach an agreement. According to the latest information, Eurozone Finance ministers are preparing to work with the creditor proposals in the upcoming Eurogroup meeting as the institutions have failed to reach an agreed deal with Athens. Read more. Royal-Dutch Shell and Italy’s Eni have made their courting of Iran public for the first time as optimism builds up ahead of a deadline for clinching a nuclear deal with Tehran. Executives from the two energy giants traveled to Tehran in June and May to discuss new opportunities in the resource-rich country, the companies said. Read more. At least 12 killed in bomb blast in battleground border town, as fighting flares in several other key Syrian cities. 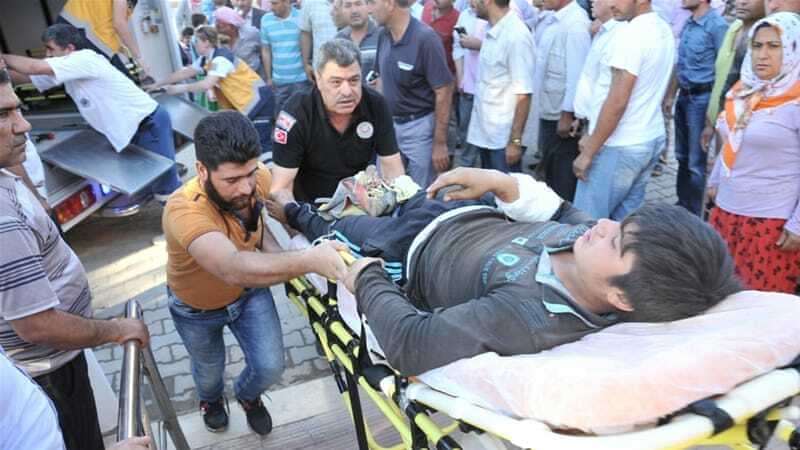 At least 12 people were killed in a car bomb attack in the Syrian town of Kobane, as dozens of ISIL fighters attacked the town on the border with Turkey, sources told Al Jazeera. Read more. Three Saudi soldiers and an Emirati have been killed on Saudi Arabia’s border with Yemen, where Riyadh is a leading a bombing campaign against Iran-backed militia, state media said Thursday. Two Saudi troops were killed at sunset Wednesday when a rocket landed in the Jizan region,.. Read more. In the summer of 2014 the world watched in shock as ISIL captured Mosul – Iraq’s second city - and took control of territory the size of Britain. The brutal approach of terrorist groups in Iraq and Syria was not new; however, the main reaction of the West came when ISIL brutally beheaded American and British citizens in front of cameras. The abhorrent act was denounced by Western politicians and media, but almost all failed to point out that Britain has a long history of involvement with such groups and has been prepared to ally with them when it suits the interests of London. This documentary traces to roots of ISIL to the darkest pages of British imperial history. Jubair, who was speaking during a press conference with his French counterpart,.. Read more. The Yemeni army has fired as many as 12 rockets at a Saudi military base in the southwestern Saudi province of Jizan. Yemeni army forces, backed by popular committees, targeted the Saudi military base of al-Doud and the area surrounding it in Jizan late on Wednesday. Read more. The Pentagon has released a book of instructions on the 'law of war', detailing acceptable ways of killing the enemy. The manual also states that journalists can be labeled 'unprivileged belligerents', an obscure term that replaced 'enemy combatant'. Read more. British intelligence agency GCHQ is facing fresh calls to reveal the extent of its involvement in the US targeted killing programme... Read more. In Ecuador, right-wing Guayaquil Mayor Jaime Nebot, former presidential candidate and banker Guillermo Lasso, and Chevron-backed politician Andrés Páez insist on their right to the accumulation of wealth and have been calling sometimes violent protests against inheritance tax and capital gains bills introduced, and now temporarily withdrawn, by President Rafael Correa. Supporters of the Citizens’ Revolution, on the other hand, back the wealth redistribution bills and are organinzing neighborhood brigades and forums to foster a national debate on the measures. Venezuelan President Nicolas Maduro released a video showing new far-right efforts to destabilize the country. The latest video, released by Maduro during his television program, reveals ties between opposition leader Antonio Ledezma, Yonny Bolivar, charged with responsibility for the murder of journalist Adriana Urquiola, and Leopoldo D'Alta, financial backer for last year's violent anti-government disturbances. 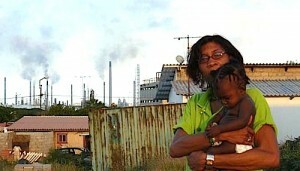 THE HAGUE, WILLEMSTAD – The environmental organization, SMOC has previously indicated that politics seems to be moving more than ever before when it comes to the environmental pollution of the oil refinery Isla. This will also happen tomorrow. The Kingdom Relations Commission (House of Representatives) will handle a letter of SMOC to Minister Koenders in a so called procedures meeting. Read more. Greece rejected Wednesday «counter proposals» from creditors that were issued in response to Athens' latest budgetary plan, in light of the IMF's position, a government source said. Questioned about whether "this counter proposal" - containing even bigger VAT tax hikes and public spending cutbacks - had been rejected by the radical left Greek government, the source replied: "Yes." Read more. Horton declared, “Much of the scientific literature, perhaps half, may simply be untrue. Read more. A picture in a Dutch social studies textbook for 16-year-olds portrays Russia as a monster with claws and fangs trying to devour Ukraine, while Europe extends a helping hand. Read more. Greek Prime Minister Alexis Tsipras said some creditors haven’t accepted the country’s proposals to unlock aid as he prepared to depart for emergency talks in Brussels. “The insistence of certain institutions of not accepting parametric measures has never happened before -- not in Ireland, nor in Portugal,” Tsipras wrote Wednesday on his Twitter account. Read more. The newest Wikileaks revelations names the three of France’s most recent presidents, as direct victims of US intelligence spying. RT's correspondent Alexey Yaroshevsky has the details. In a Facebook post which cannot be quoted fully quote due to strong language,.. Read more. In what marijuana reform advocates are hailing as a victory and large crack in the armor of government bureaucracy, the Obama administration announced this week that it will ease some restrictions on cannabis research by removing the additional review of the Public Health Service (PHS) for projects not funded by the federal government. Since its 1999 inception, the PHS review process has imposed barriers to marijuana research... Read more. Angry pensioners have hit the streets of the Greek capital, protesting against the reports of a new austerity plan being ushered onto them. It comes as Greece and its lenders debate the nation's €240 billion debt. Demonstrators say they feel betrayed by the measures of the upcoming deal,.. Read more. Een ijzingwekkend hoofdstuk uit Thucydides' geschiedenis van de Peloponnesische oorlog is de zogeheten Melische dialoog: het verslag van de onderhandelingen tussen de Atheners en de bewoners van het Cycladische eilandje Melos. De Meliërs hadden geprobeerd om neutraal te blijven in het conflict tussen Athene en Sparta. In 416 voor Christus werden ze door een machtige Atheense vloot voor een dodelijk simpele keuze gesteld: onderwerping of vernietiging. Lees meer. An agreement based on the latest proposals put forward by Greece will only pass through parliament with difficulty. However the creditors still have more demands. Despite the optimism generated following the significant 11th hour concessions made yesterday by the Prime Minister Alexis Tsipras,.. Read more. Keiser Report: Bring Austerity to Bankers! In this episode of the Keiser Report, Max Keiser and Stacy Herbert, in a double header, discuss the evidence emerging that QE is causing deflation as the wealthy delay consumption to participate, instead, in rapidly rising stock, bond and house prices. They also discuss two reports out - one from the IMF and the other from the OECD - that expanding the finance sector is not possible without causing further economic decline. Only austerity for bankers will do and bashing the finance sector into a smaller, more manageable (and profitable) size will save us. Hezbollah and the Syrian army made on Tuesday a considerable advance in Jarajir barrens in Qalamoun, clashing fiercely with the terrorists. The Resistance and the Syrian military controlled Shoabat al-Bakara, Thalaja, Shoabat al-Shakara, Beit Shakour, Taleel Hajj Ali,.. Read more. 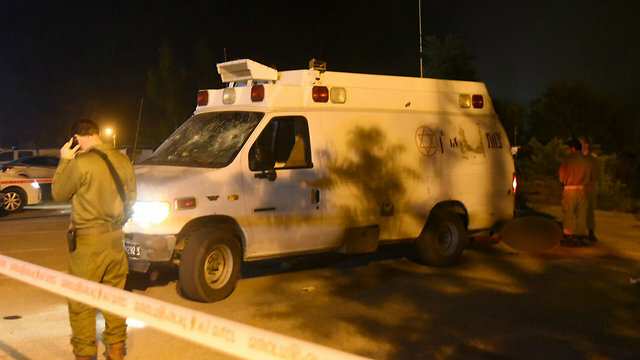 For second time in 24 hours, Druze in northern Israel pelt ambulance with stones; two IDF soldiers lightly hurt in attack, one of the Syrian wounded killed. For the second time in 24 hours, some 150 Druze protesters attacked and hurled stones at a military ambulance transporting wounded Syrian rebels... Read more. The death of Saudi absolute monarch King Abdullah, on Jan 23, sparked a new wave of a power struggle inside Saudi Arabia. In the latest sign of the fierce power struggle, some reports suggest that the former Saudi Crown Prince Muqrin bin Abdulaziz is about to leave for London forever. But the question is why Muqrin had chosen Britain as his final destination? Is it a form of voluntary exile by Muqrin? 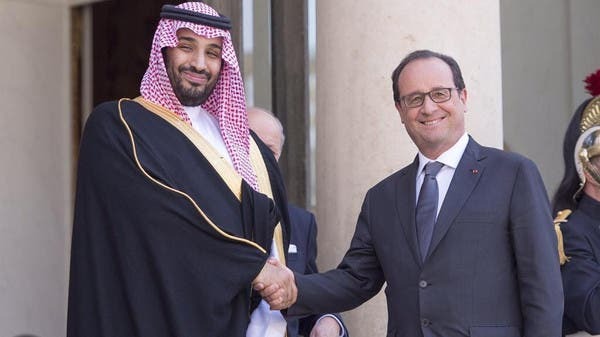 How are bilateral relations between the Saudi regime and Britain affected after the death of King Abdullah? Read more. There's been no immediate report of casualties. The attacks follow Riyadh’s failure to heed the United Nations’ calls for a ceasefire during the fasting month of Ramadan. Some 44-hundred people, most of them women and children, have lost their lives in the Saudi onslaught which began nearly three months ago. In addition to the high casualty figures, Saudi Arabia’s war has inflicted heavy damage on Yemen's infrastructure. International organizations have warned of a humanitarian crisis in the impoverished Arab country. De laatste tijd hoor je met enige regelmaat dat mensen om je heen ons nieuws niet meer geloven omdat ze menen dat er censuur toegepast wordt. Mensen die dit beweren hebben gelijk, meer gelijk als ze denken. De NOS is een praatpaal geworden van de elite door inmenging van o.a. de CIA en andere geheime diensten. Via dit kanaal worden wij dag in dag uit gemanipuleerd door middel van zogenaamde experts die maar één doel hebben en dat is ons een bepaald beeld op te dringen dat onze elitaire vrienden in de kaart speelt. Lees meer. A deal may be on the horizon between Greece and its creditors, but loaded with tough measures, the government will struggle to pass it through parliament. Greek lawmakers reacted angrily on Tuesday to concessions Athens offered in debt talks and parliament's deputy speaker warned the proposals would struggle to win approval,.. Read more. The WHO cancer research unit has deemed 2,4-D, the active ingredient of Dow’s herbicide – once used in infamous Agent Orange – as ‘possibly’ causing cancer. 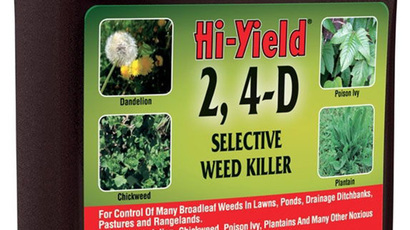 The chemical ranked one behind the ‘probably carcinogenic’ glyphosate in Monsanto's Roundup. Upon careful review of scientific data regarding 2,4-D, a chemical used for a Dow AgroSciences product,.. Read more. Syrian Kurdish forces have reportedly retaken control of several villages and a military base in northern Syria as they continue their advance into ISL-held Raqqa Province. According to reports, the Kurdish forces of the People’s Protection Units (YPG) continued their advance into the villages... Read more. The Yemeni fighters fired 70 rockets at Saudi military bases in the border region of Jizan. Army troops also targeted three military bases in the southwest. Two Saudi military vehicles have been destroyed in the attacks.Meanwhile, a Saudi spy plane has reportedly crashed near the Yemeni city of Sahar in Sa’ada province. Yemeni fighters led by Ansarullah movement started pounding military targets on the Saudi side of the border weeks after Riyadh invaded the impoverished Arab country in late March. 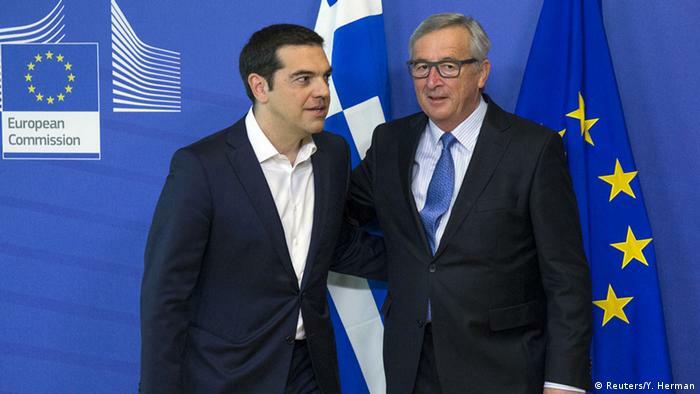 European leaders have met in Brussels for a last-ditch attempt to save Greece from leaving the Eurozone. While largely welcoming Greece’s commitments, there seemed to be little enthusiasm for its debt repayment plans. Eurozone leaders said they hoped to finally seal a Greek bailout deal this week... Read more. 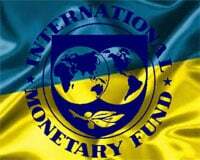 In other words: a statement by Ukraine’s government that it wants to reach an agreement with its private creditors is being used by the IMF as if it were an excuse to extend into the indefinite future the IMF’s continued taxpayer-guaranteed financing of (‘lending’ to) the Ukrainian government, despite the fact that the IMF is violating two of the IMF’s own most-basic rules restricting its lending-authority... Read more.